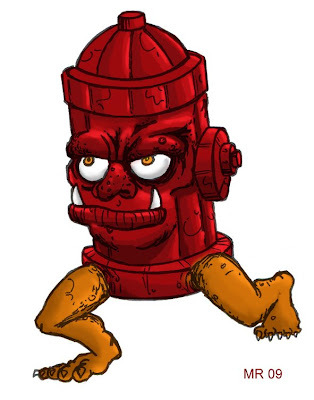 A tsukumogami formed from a fire hydrant. His job is to put out fires wherever he finds them. He does not like your dog.